2008 Street Rodder magazine tour in town. Last night – Wednesday the 18th of June, we had the 2008 Street Rodder tour at the Amsoil on their way to The Back to the 50’s this weekend. 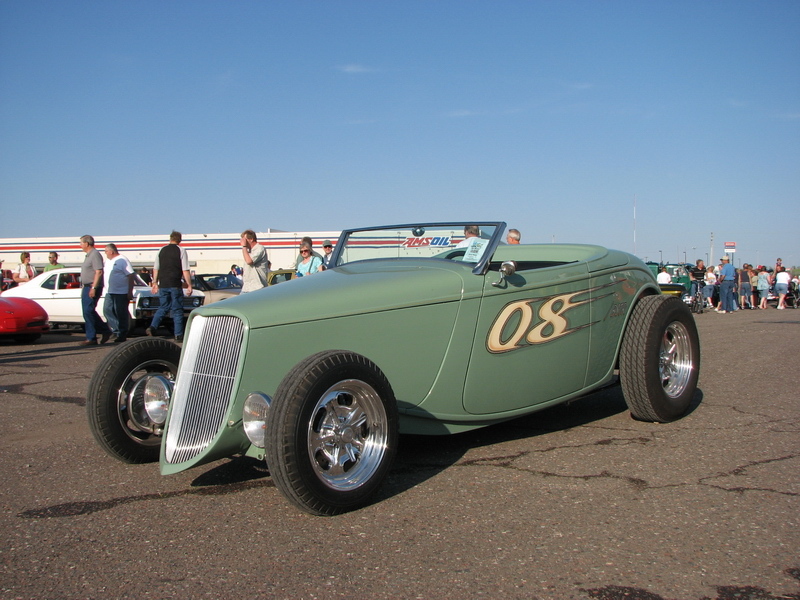 They traveled from St. Ignace MI on Wednesday with this 1933 Ford Speedstar built by The Roadster Shop in the lead. One of the most beautiful cars there a Amsoil’s complex was the Illusion from Indiana – the paint on this car is fantastic! Click on the photo below for the full effect ot “the Illusion” NOTE – it is a very large file and takes a lot of time to load, but it is worth the wait – once it loads, you will see the color change as you walk past the car. CLICK for Animation - large file! Click Above image for animation – over one meg file! The tour headed to the Twin Cities on Thursday to attend the Back to the 50’s mega-event. At the hotel on Canal Park - Duluth - CLICK FOR MORE PHOTOS! It is June and Summer is just around the corner. 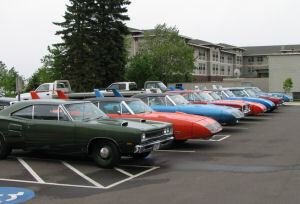 Today is the 11th and we have the Mopar Winged Warriors / National B-Body Association in town. Click here or on the above for more photos. Tonight I hope to see them at Archer Brother’s Racing – more on that later.